NO SERVICE DOGS FOR PTSD DISABLED VETERANS? THIS IS DISHONORABLE! NO SERVICE DOGS FOR VETERANS? The Government no longer funds service dogs for PTSD disabled veterans who are instead referred to schools with up to 2 years wait time and $20,000 price tags. In late 2012, the government denied coverage stating there was “not enough evidence to support the medical need…” The CEO of Paws and Stripes, which helps wounded vets get a service dog, is herself the wife of a veteran suffering from chronic PTSD. “After suffering a brain injury while serving three tours in Iraq, her husband, James Stanek, returned with both mental and physical trauma.” His dog “Sarge” works as a biofeedback tool, so James “can pay attention to himself, and so he can square himself away," Lindsey Stanek said. One veteran’s site reports “there are about 400,000 veterans currently in treatment for PTSD (which increases daily), and among that group, rates of divorce, substance abuse and unemployment exceed that of the general population. The suicide rate for those with PTSD is off the map, with 32 to 39 suicide attempts daily, and about half of the attempts succeeding.”. For many veterans, a service dog can make all the difference in recovery and lifelong coping with injuries. But dogs serve us in many ways so we will look at that too. Just what is a service dog? Language is important. There are “Therapy Dogs”, Service Dogs” and the Psychiatric-Support dogs”. Therapy dogs provide affection and comfort for hospitals, retirement and nursing homes and assist in the aftermath of traumatic situations. Therapy dogs need to pass a Therapy Dog basic obedience test and have a happy disposition to all humans. Hospitals and other faculties have the right by federal law to refuse Therapy Dogs to enter, but they cannot the prevent entry of a visitor with a Service Dog. Service Dogs assist Veterans with PTSD, warn diabetics of blood sugar changes, or warn seizure-prone people before they feel symptoms. Service Dogs are used for nervous disorders such as Parkinson’s and for the blind and deaf. For a true understanding, read “Until Tuesday”. This story speaks of a Captain who served 3 tours in Iraq and suffered PTSD (post traumatic stress). It reveals public access problems regarding service dogs when visible evidence of disability is unseen. Businesses are only allowed to ask “Is this a service dog?”. 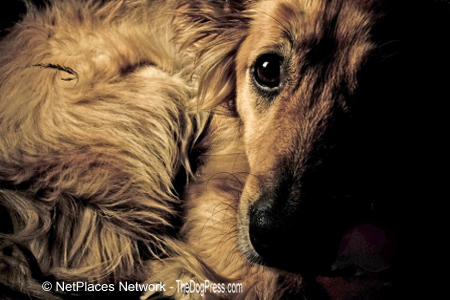 The Psychiatric Support Dog owner may offer an M.D. diagnosis certificate. “Emotional Support Dogs” are NOT “Psychiatric Support Dogs”. Legally, questions can NOT be asked regarding a disability. This loophole allows an inconsiderate person to board airplanes with their pet. The opportunist may claim his/her dog is an “emotional support dog” by having it wearing the little coats, harnesses, and badges. Sadly, the very legislation which prohibits the person with disabilities from being questioned and affords them privacy and dignity also provides opportunists the wiggle room to take along their pet to make them “feel better”. The same goes for accommodations. Slipping a dog into a motel may save the deposit, but everyone suffers when the facility tires of this and simply says “NO DOGS ALLOWED!” Therefore never leave an uncrated dog in your room and pick up after your dog when you take it out to potty. When someone plans to board a plan with their Service Dog, the airline needs to know in advance the dog’s size in order to make proper provisions. If another passenger objects to the dog, they may be booked onto another flight, thus delaying their connections. Common sense about your Service Dog or Therapy Dog also applies to schools. Prior permission from authorities is imperative before bringing said dog to school. If the child is too small to handle the dog, the school must shire an assistant. Dogs must wear an identifying vest and YES, there may be other fearful or allergic children in this classroom. Those children may require a transfer to another available class room. A Service Dog can be asked to leave an establishment if it becomes disruptive, solicits food from strangers, or has housebreaking problems. Websites sell a rainbow of official looking embroidered vests saying “Service Dog”, Working Dog” and so on. These sites warn against fraudulent use of their products but sadly, “fake service dogs” are everywhere. The U.S. Census says 43 million people identify themselves as having some sort of disability but the number of true task-trained service dogs is less than 1%. Current laws are a two-edged sword. Simply put, it boils down to personal character, consideration and courtesy. Passing one's pet off as a service dog destroys the original intent regarding the rights of those who need and use their animals properly. Yes, some dog show people have done this. Some State legislatures are working to make service dog misrepresentation a class C misdemeanor. Currently, to avoid law suits, many businesses choose to remain “closed mouth” and avoid the consequences of making a wrong challenge. For your personal knowledge, true service dogs do not interact with strangers and in a polite, dignified and quiet manner, devote themselves to those who require their designated services. The local “Cadac Dog Club” of Charleston, Illinois offers a “Dog Safety Class” in affiliation with the American Kennel Club. Under supervision, kindergarten children learn proper pet behavior, safety, and how to respond when approached by an unknown dog. Check with your local breed or kennel club to see what you can do to familiarize your community with Service Dogs and the rights of the disabled. 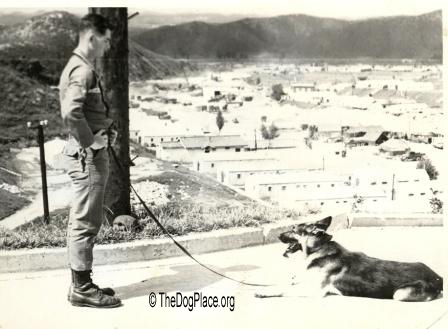 Your obedience class vs. Major John Probst's military dog training. 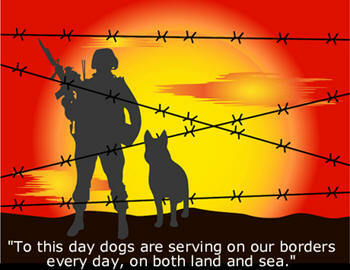 Our sites have supported K9 Veterans Day since 2009. Do YOU?